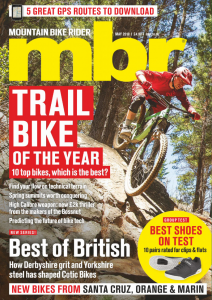 This product is featured in: Best mountain bikes and The best enduro mountain bikes. 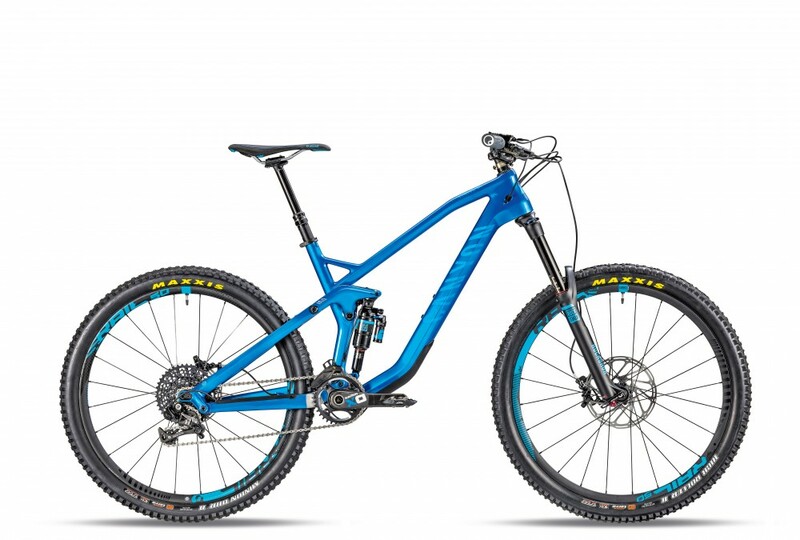 Developed with the help of multiple downhill world champion, and obsessive tweaker, Fabien Barel, Canyon’s Strive CF 9.0 Race takes a completely fresh approach to travel and geometry adjustment. A small piston, wedged between the shock and the seat tube, changes the shock position relative to the linkage, altering the geometry, the travel and the suspension progression. It’s compact and unobtrusive and, at a cursory glance, you probably wouldn’t even notice it. To switch between the two modes, you must press the discreet remote lever while shifting your bodyweight. Lean back and kick your heels forward to go from XC to DH mode, and rise out of the saddle throwing your weight over the front wheel to get into the XC mode. There’s a knack to it, but finding the right technique doesn’t take long, and by increasing the air pressure in the Shapeshifter piston, you can make it easier to get into XC mode, and vice versa. A window on the linkage displays which mode you’re in — green for XC, black for DH — but it’s the size of a grain of rice and difficult to spot. Canyon’s full carbon Strive frame is a stunner, with crisp lines that extend right through the frame to give a really cohesive design. All the parts and cables for the Shapeshifter are integrated superbly into the frame, leaving a clean, seamless silhouette. Fitted with a RockShox Pike RCT3 up front, and a Monarch Plus RC3 shock with DebonAir can at the back, the suspension on the Strive CF didn’t disappoint. The Pike was easy to set up; we ran two Bottomless Tokens to ramp up the spring curve, and a slightly lower air pressure than recommended to give a more supple feel.This gave us superb grip, plenty of support and the confidence to really open up the taps at BikePark Wales. The Pike was more than complemented by the super progressive rear suspension and sensitive Monarch Plus shock. 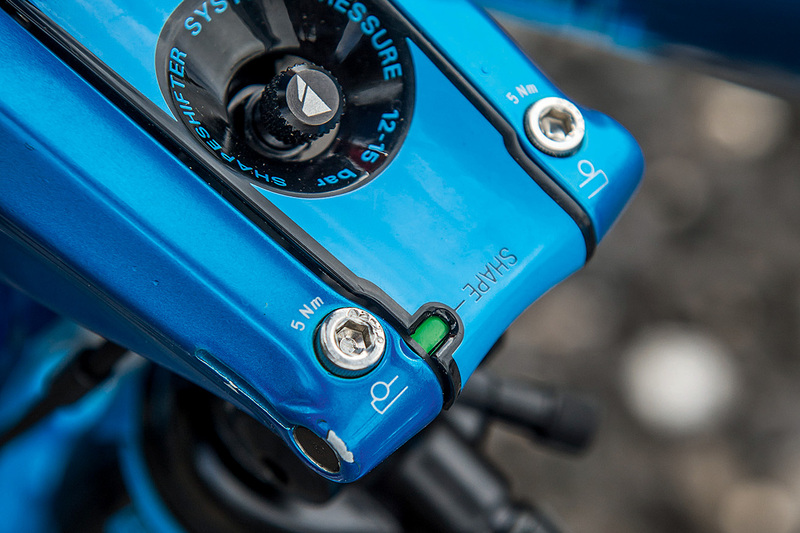 With so much support, we could pump and pop the Strive to gain speed like no other bike here. 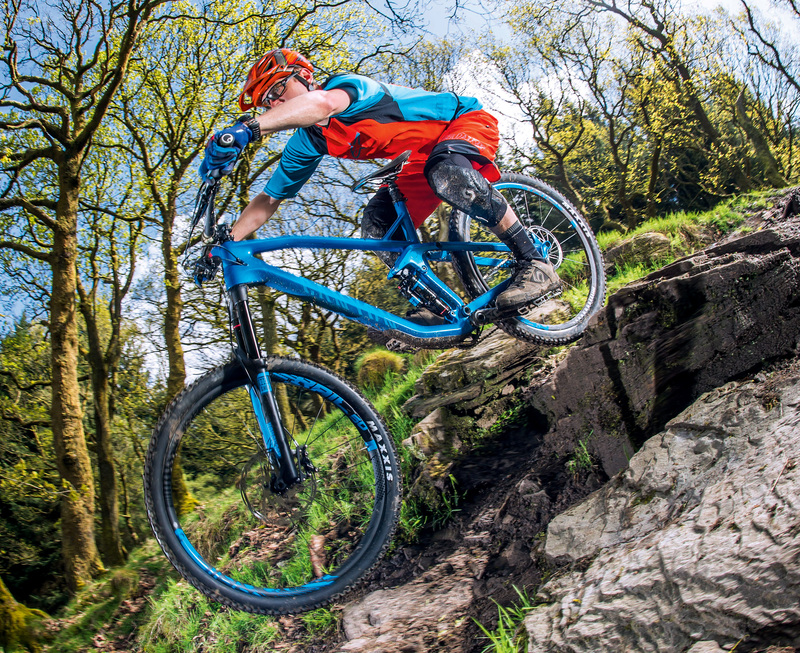 On the ragged edge, we’d say that a Scott Genius LT 710 feels slightly more composed — it does have an extra 10mm of travel — but we consistently went faster on the Canyon, and it was more fun to ride at 80 per cent, too. 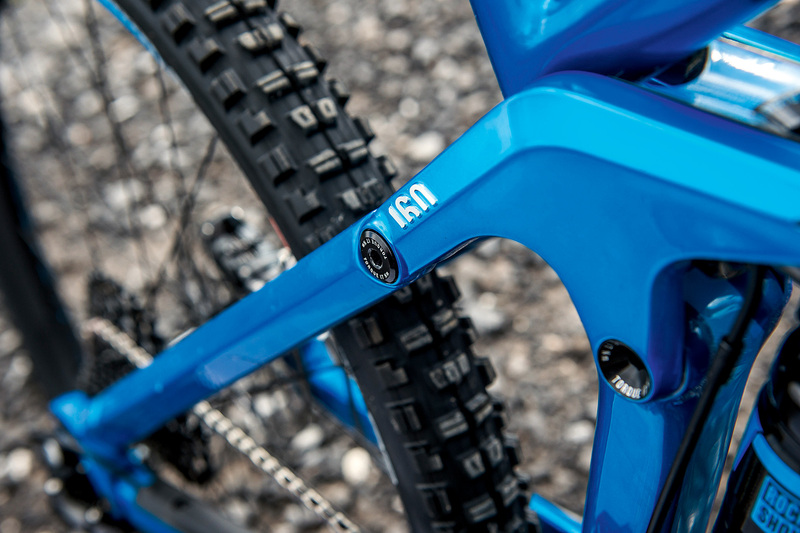 Canyon has nailed the spec on the Strive CF 9.0. From the superb Maxxis High Roller II/Minion DHR II tyre combo, to the SRAM XO1 single-ring drivetrain and RockShox Reverb Stealth seatpost, it’s ready to race right out of its bespoke box. There’s even a trick Renthal Carbon Fatbar and Apex stem, and being tubeless-ready means the SRAM Rail 50 wheels give you the chance of an easy half a pound or so saving off the already impressive 29lb weight. Canyon’s Shapeshifter technology differs from the other adjustable geometry bikes, in that it changes the static, as well as the dynamic, geometry. 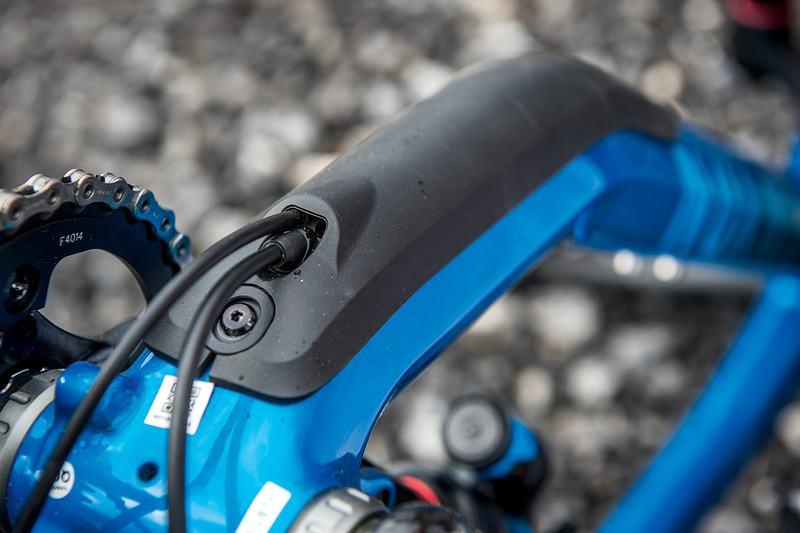 Canyon claims a 1.5° shift in angles and a 19mm difference in bottom bracket height. Around half of the transformation is down to the piston moving the position of the front triangle relative to the stays — reflected in the two sets of geometry figures we’ve printed below. The rest is down to the change in sag caused by the different travel and kinematics. While it doesn’t sound like such a dramatic metamorphosis, the Strive CF well and truly let us have our cake and eat it too. Thanks to its low weight and rampy suspension it fairly rocketed up the climbs. In DH mode there was no holding it back; quick up to speed with minimal effort, the active suspension provided plenty of grip and the handling struck just the right balance between rewardingly agile and unflinchingly composed. 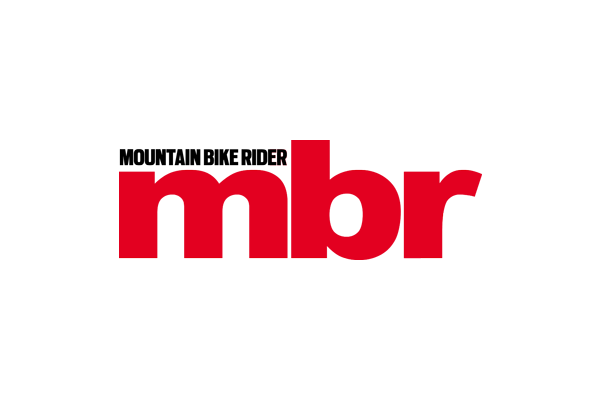 It was not nearly as stiff as other bikes in this price bracket, but what this actually meant was that we could release the reins a little and let the bike find the path of least resistance. Ruthless as an enduro race bike, rewarding to ride on an uplift day at the bike park, and clothed in an almost faultless selection of parts, we came away seriously impressed with the Strive CF. It’s genuinely a bike that can do it all. Efficient and rapid on climbs and trail centre singletrack, it would also make an extremely capable companion to take on a riding holiday to the Alps. In fact, at £200 less than the Scott and £300 less than the Cannondale, return flights to Geneva are as good as included for free.